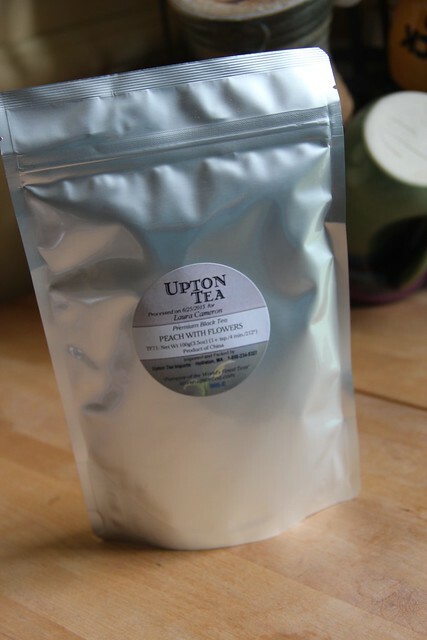 The second tea in my last order from Upton Tea was Peach with Flowers. I love peach flavor and peach teas so I had high hopes for this one. 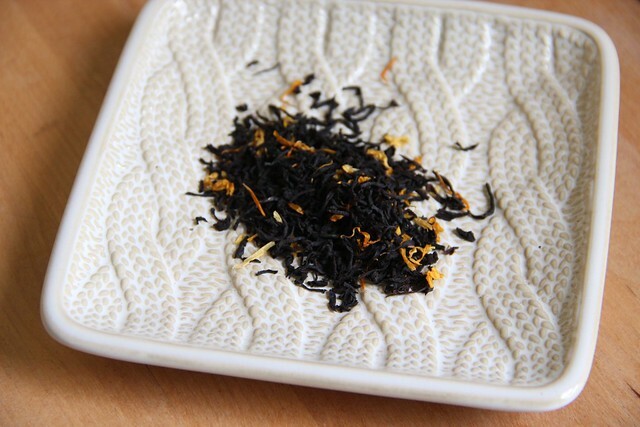 From the label, Peach with Flowers contains black tea, marigold flowers and peach flavor. It is available in a variety of sizes: 12g sample for $1.50, 100g packet for $8.20, 200g packet for $15.58 and 400g packet for $30.30. When I opened the package it smelled like sweet peach. There was a hint of something floral, but nothing overwhelming. As it brewed I got more strong black tea scent. The result wasn’t quite as peachy as I’d hope, but I still enjoyed it. To me it was very reminiscent of Republic of Tea’s Ginger Peach. Next The Corner of Knit & Tea: Episode 55, Is it fall yet?